Shomron Regional Council head: Likud should replace Netanyahu if he continues to voluntarily freeze construction in Judea and Samaria. 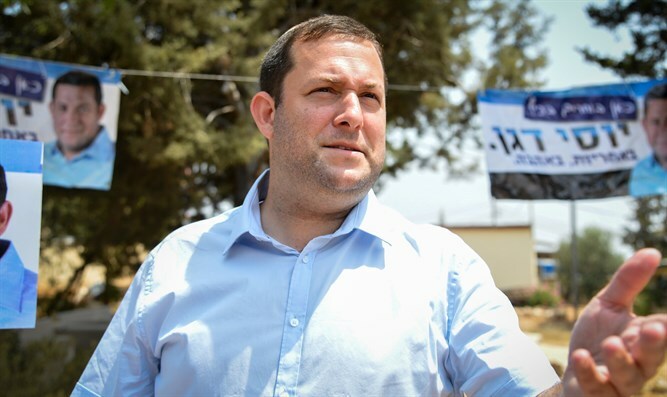 Yossi Dagan, head of the Shomron Regional Council, on Friday dismissed reports that the Civil Administration is set to approve a series of building projects in Jewish communities in Judea and Samaria which include plans for more than 2,600 housing units. “The Prime Minister is trying to create a construction freeze on a voluntary basis - after Obama's eight years,” wrote Dagan on Facebook. “After Obama's eight-year freeze, the right-wing Prime Minister is once again freezing the settlement enterprise in Judea and Samaria. Today, moments before the start of the Sabbath, we were once again informed that the Prime Minister chose to reject most of the requests for construction in Judea and Samaria,” he continued. “After eight years, today there are no excuses. If this construction freeze is indeed approved, and if even now construction in Judea and Samaria will indeed be frozen again, the Likud as the leader of the nationalist camp, and I write this with great regret, will have to consider running another candidate for Prime Minister, who will be committed in actions and not only in words to the ideology of the nationalist camp in Israel,” wrote Dagan. “In an insulting manner to the needs of the residents, a shameful and hallucinatory number of construction units was approved, which is not even close to the natural growth of the residents themselves,” he added. “Here are the exact numbers: According to the decision today, 1,357 housing units have been approved in all of Judea and Samaria, meaning that 1,357 housing units are intended to meet the needs of half a million residents whose construction plans have been delayed for eight years. Enough with the pretending. No more hiding. That’s a construction freeze!” concluded Dagan. Earlier on Friday, the Yesha Council responded to news of the new construction as well, noting that it was not nearly enough to meet the natural growth in the region. “We welcome the renewal of the work of the Planning Committee, but unfortunately, the heads of the local authorities were not involved in the discussions and many plans that meet the great needs of the settlement enterprise are missing. These plans should be added to the committee’s discussions at the earliest possible date,” it said in a statement.